For the coach or athlete looking for protection from the elements, look no further than the new Nike Custom Waterproof Pants. The ultimate in waterproof technology, you can withstand hurricane levels of rain in this pant from Nike. Features include bonded and taped seams with leg zips at the bottom hems. 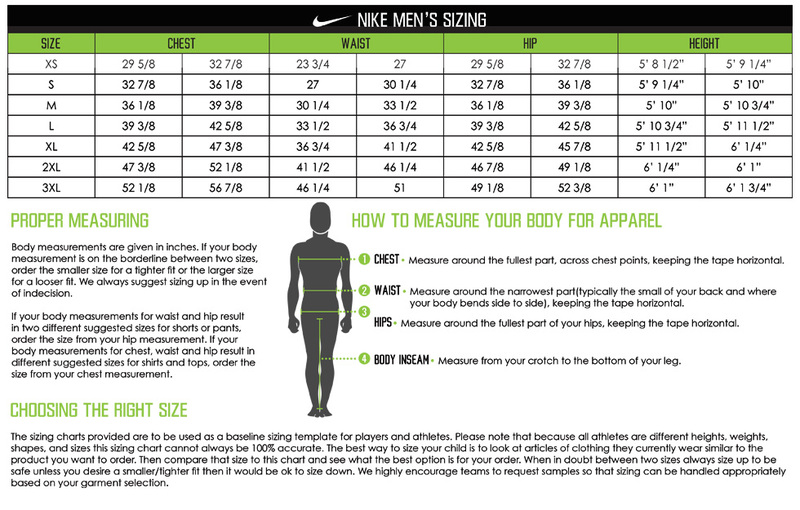 The Nike trademark Swoosh is located at the upper left hip leaving plenty of room for customization. Customize your Nike waterproof pant with embroidered or performance flex printed team logos, names or player numbers. For the ultimate in customization request information on decoration options for weatherproof garments. At Elevation we specialize in custom decorated Nike pants, contact us today for your custom quote!